Maldives , with its booming tourism industry is experiencing a parallel growth in shipping as this is a country where almost everything is imported. 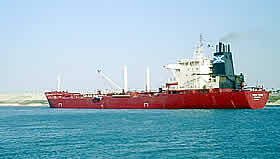 More and more ships from various parts of the world are calling ports in the Maldives . Similarly yachts on circumnavigation trips or simply touring the Indian Ocean are frequenting this idyllic natural harbour. Thus the need for a full service bunker supplier is of primary importance. This service is relatively new in the country and with the geographical nature of the Maldives ; it is a challenge to provide appropriate and efficient service of the required quality. AARU Bunkering Service aims to fulfill this requirement, with well-timed supply of bunkers to all the vessels calling ports in the Maldives where we are present. AARU also plans to expand its service to cover all major atolls and ports in the Maldives in a near future.